This post is a great example of how impactful it can be for our young players to see other Memphians being successful in basketball. 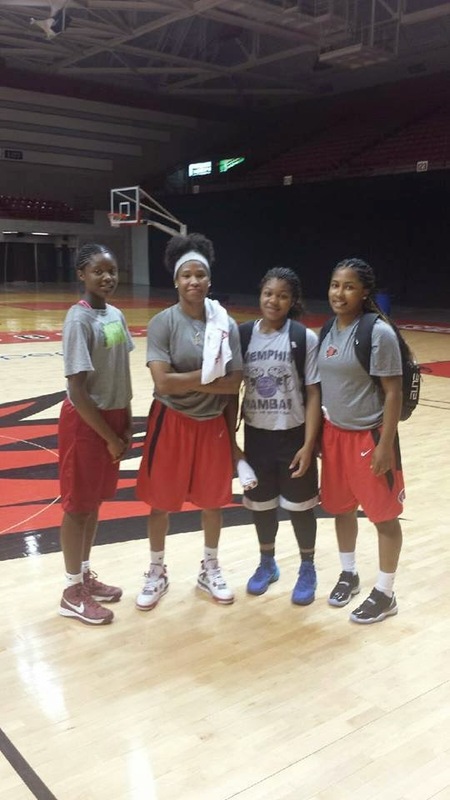 Two Memphians show promise at Southeast Missouri Elite Camp. Gabrielle "Gabby" Moore, who is going into her junior year at Memphis Catholic High School, helped lead her team to the elite camp championship game. She also finished second in the free throws shooting contest. 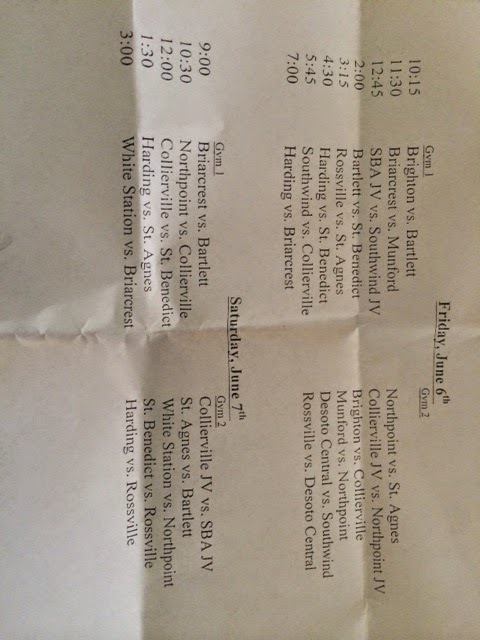 Gabby was coached by Brianna Mitchell (Germantown). 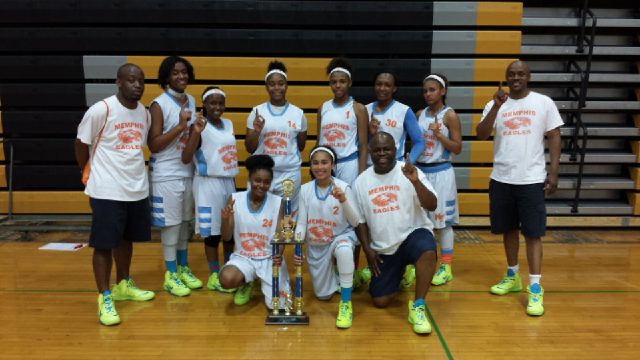 Their undefeated team lost an exciting championship game to Jasmine "Tootie" Robinson's (Overton) team. Kayla Freeman from Lester had a good showing as well. Her team won the 3 on 3 championship. She was on the team to almost upset Briana's undefeated squad. She has a bright future. Jasmine and Briana are great people. Gabby and Kayla were excited to see a couple of hometown girls playing at SEMO. They enjoyed the experience of attending an college elite camp. 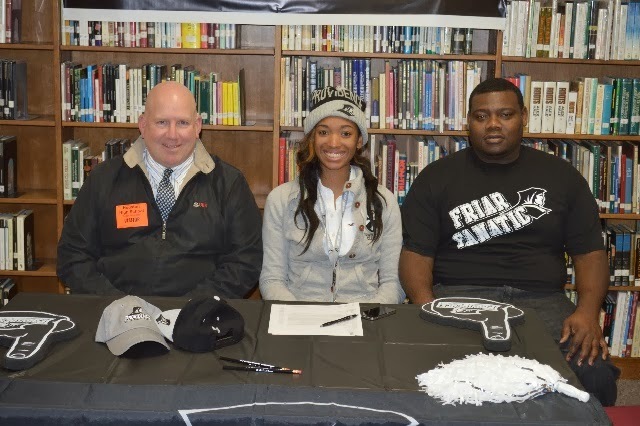 Torri Lewis has been a known commodity on the recruiting trail since the seventh grade. And now she’s made her college destination known. 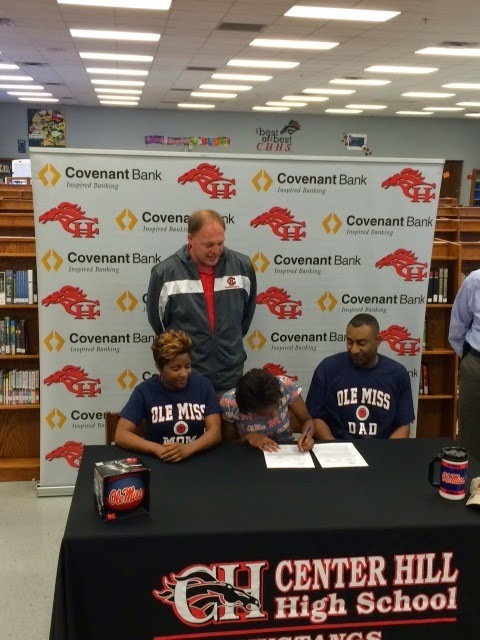 Lewis, an all-metro performer from the Memphis Home Education Association, has verbally committed to play basketball at Ole Miss. The 5-10 class of 2015 sharpshooter chose the Rebels over several other schools, including Memphis, Florida and Louisiana Tech. Lewis led MHEA to a 33-7 record this past season and a runner-up spot in the national home-school tournament. 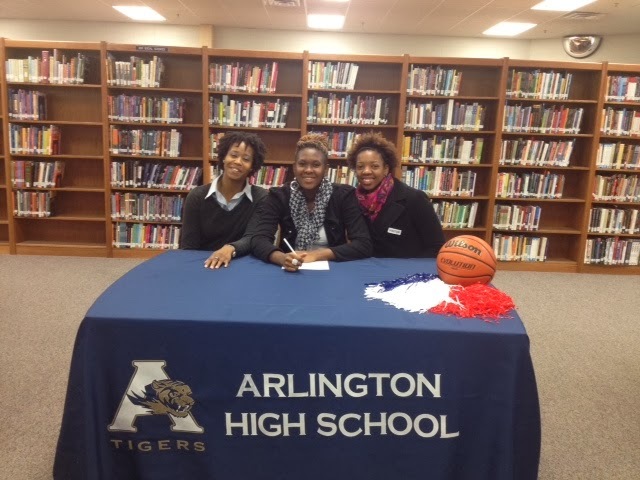 It was at that same event a few years ago where she picked up her first offer — from Kansas State — when the Eagles played against a team led by current UConn standout Morian Jefferson. But shooting is what Lewis does best. “Ever since I was 10, my dad and I have gotten up at 4:30 in the morning to go shoot,” she said. “He didn’t play basketball and neither did my mom. It’s been pretty consistent, about four days a week on average. We’ve never counted, but it’s probably a couple hundred shots (each session). While the Eagles have been one of the area’s strongest teams for the last several seasons, there is still the notion among some that home school basketball isn’t quality basketball. Rice said Lewis’ commitment — and the attention she’s received over the years — should end that once and for all. “It just shows if you keep the faith and keep working, you’ll get the opportunity, whether it’s home school or in a school setting,” Rice said. 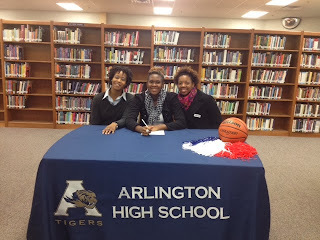 “Torri set the tone for individual work ethic in our girls program by putting in extra hours ... outside of practices. Congratulations to Team Memphis Elite-Rutherford for winning their division of the MAYB Tournament over the weekend. 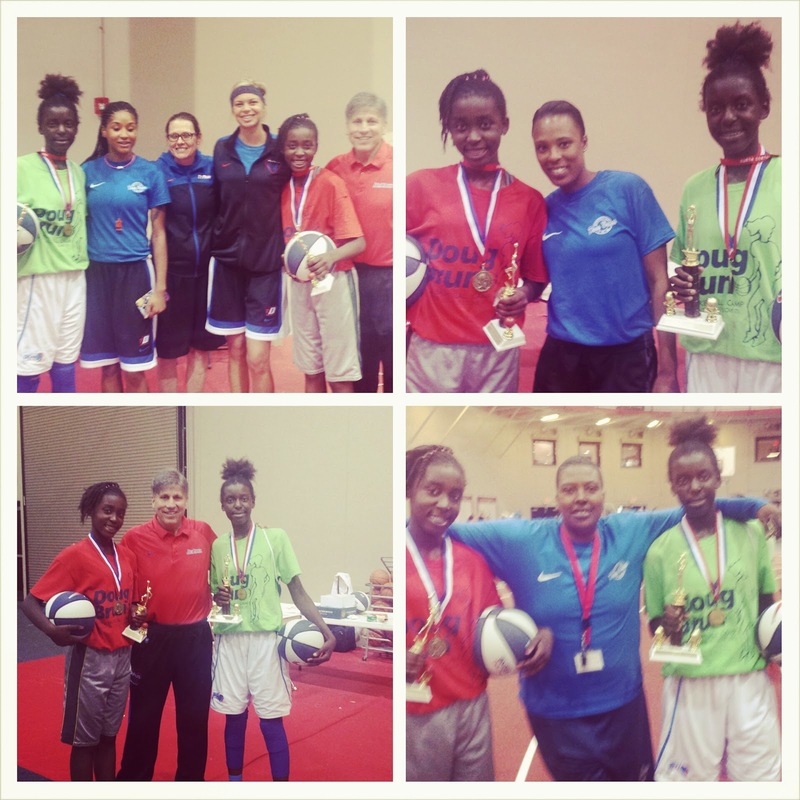 Rising 8th grade twins, Lanyce and Lanetta Williams, recently traveled to Chicago to participate in Depaul womens basketball head coach, Doug Bruno, Basketball Camp. Lanyce won the MVP All Camp award and the Mikan Hook Shot Award. Lanetta won the Sophie Love IT All MVP, Positive Attitude Award, the 1-on-1 Award, and the 5-on-5 Championship (the twins were on different teams). MAM is looking for six college students that will be able to work from August 1, 2014 to July 31, 2015. These students will work approximately 20 – 25 hours per week (900 hours total) and will earn in excess of $10 per hour ($9.37/hour plus $1,000 completion award upon program completion). These students will be working weekdays from around 2 PM to 8 PM and Saturdays from 10 AM to 4 PM. Please feel free to send this email to anyone that you think might be interested in these positions. Any interested person should send their information to Rajah Brown (rbrown@mamsports.org). Memphis Athletic Ministries will again partner with Up2Us, an accomplished, nationally-respected organization that supports youth development programs that use sports to improve the lives of kids across the country. We are delighted to announce that we have been awarded the opportunity to hire six (6) new coaches beginning this Fall. The Grizzlies Foundation will be working with both organizations in order to play a role in providing more resources and guidance to youth in MAM’s programs. Now we need your help! MAM wants to secure six coaches by July 1st. In order to meet that goal, we need lots of help finding talented individuals who want to share their love of sports while helping kids learn and grow. General Position Information: The Coach position will begin on August 1, 2014 and will end no later than July 31, 2015 (1 year commitment required). Training will include an all-expenses paid training retreat to Boston, MA in August. • Coaches will work with middle school students 20-25 hours/week, typically during after-school and evening hours. • Salary: $9.37/hour for 900 hours during the one-year employment period. • Receive a $1,000.00 Award upon completion of the CAA program. Please feel free to forward this email to anyone that you think might be interested in applying. Thank you for your help. 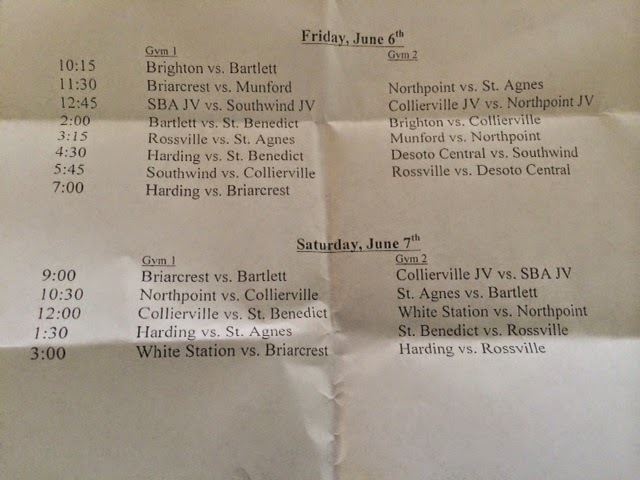 Please contact Rajah Brown at 901.461.6269 for more details. Olive Branch (MS) High School class of 2017 point guard Myah Taylor, one of the top players in the nation in her class, participated in the Mississippi State camp Friday. Taylor explained why she and her teammates camp at college team camps during the summer months. "We are still young and trying to mature faster and coming to a team camp just helps us as a team and individually," said Taylor. It also helps her individually, especially when it comes to learning her teammates. "It helps me learn my teammates better, learn what passes that they can catch and what each player can do individually," said Taylor. Olive Branch High School head girls basketball coach Blake Jones has been coaching Taylor for the past two seasons. He attributes her success to her amazing work ethic. "The reason she is where she is today is due to her work ethic," said Jones. "She is relentless as far as her work ethic is concerned. You can't push her too hard. She either is in the gym at practice or in the gym early in the morning at 6 am or she is with her personal trainer (Scott Mason)." Even before he had a chance to coach her he saw that work ethic. "When she was in middle school her dad would call me and tell me that they needed to get into the gym," said Jones. Jones also gives credit to Taylor's family for helping her get to where she is today. "She also has a great family background," said Jones. "Her parents and I have a great relationship. I also think of her as a daughter, just as I do with all the girls on my team." Taylor gives her personal trainer credit for a lot of her success. "Scotty Mason is my personal trainer and he has helped me tremendously," said Taylor. "Ever since I first found out that I could play basketball and that I loved the game, he was the one that helped me when I couldn't even handle the ball, couldn't shoot, couldn't do anything. He's helped me since the 7th grade. I work with him five days a week, probably three hours a day." Although Taylor is very good at the game of basketball, Coach Jones realizes that she still has work to do to be the player that she can be. "She probably still needs to work a little bit on her decision-making on the court," said Jones. "She's trying to do a few things that she will be capable of doing in the future but due to her maturing so fast she thinks that she can do them right now. "She also needs to continue to build her strength. Getting in the weight room the next couple of years will be very important for her. She still needs to gain a little more weight to play on this level and the next level. 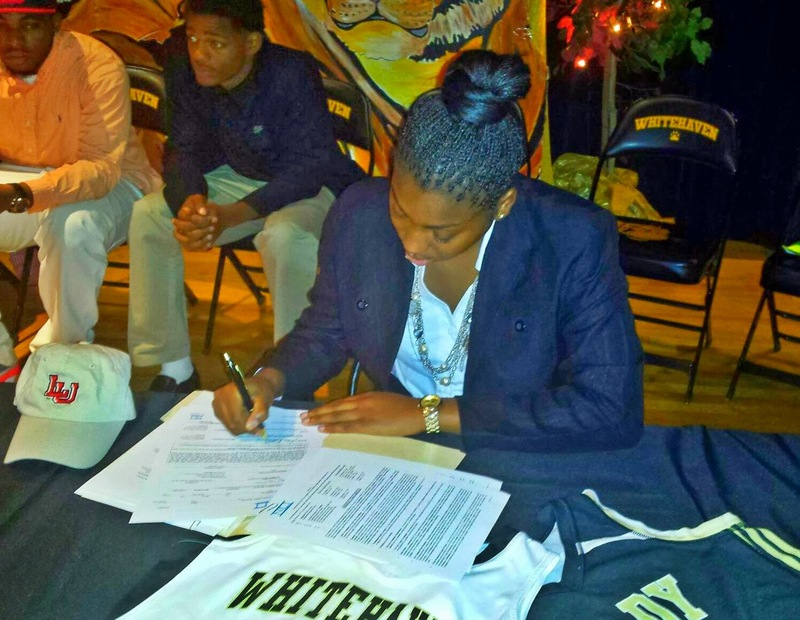 She's already SEC-ready as far as talent." As you would expect, college coaches are already heavily recruiting the talented point guard. 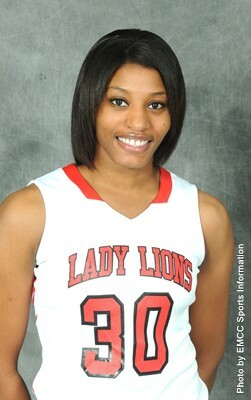 "Southern Miss, University of Memphis, Mississippi State, Baylor University and Jackson State have offered," said Taylor. 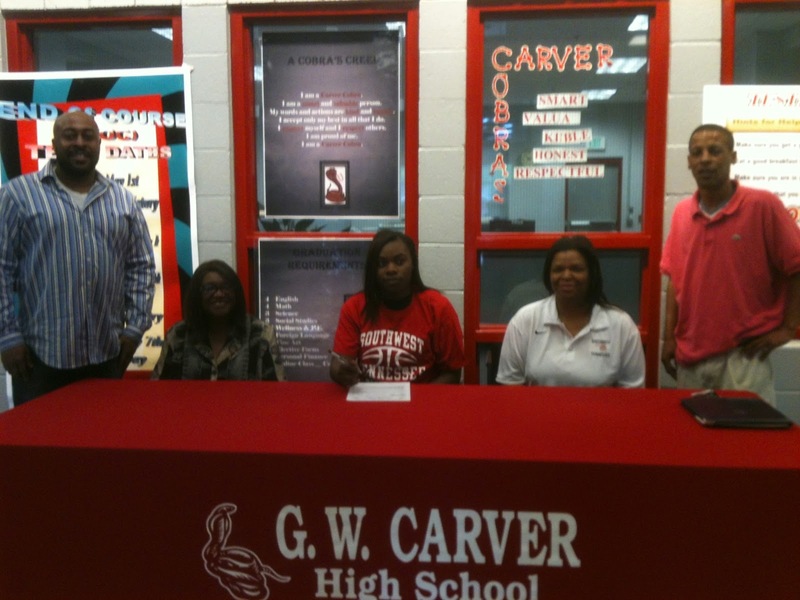 In addition to her five offers she also has a large number of colleges showing strong interest in her. 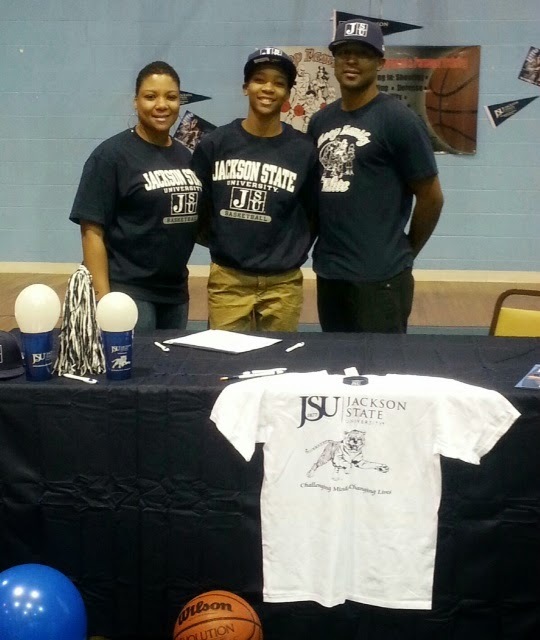 "Other schools that are recruiting her are Vanderbilt, South Carolina, LSU, Missouri, Arizona, Wake Forest, Louisville, Arkansas State and Ole Miss," said her dad, John Taylor, a former point guard himself at Jackson State University. Despite all the attention and offers from college coaches, Taylor is not taking anything for granted. "It doesn't matter what school that I'm being recruited by, I still have to go out there and work hard and play each game like it's my last," she said. This past season, Taylor averaged 13.7 points, 6.2 assists, 2.1 rebounds and 5.2 steals per game. 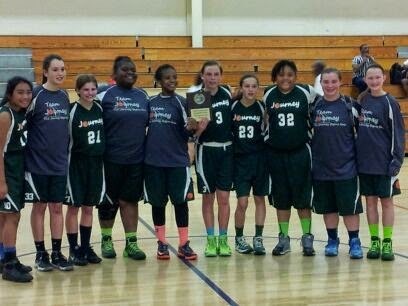 Congratulations to Memphis Lady Eagles for bringing another championship back to Memphis. 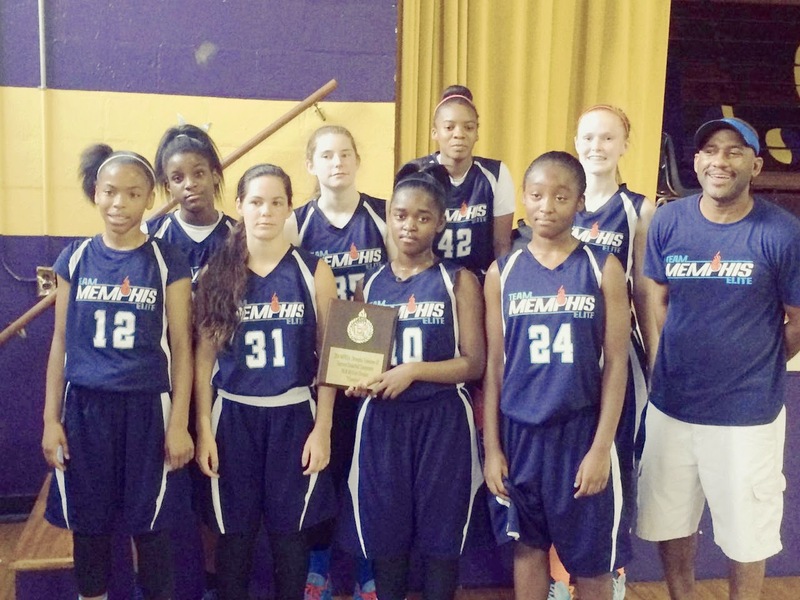 This past weekend they traveled to St. Louis, MO to participate in the 8th grade division of the Crossover Classic. NCAA colleges and universities nominated 446 female student-athletes for the 2014 NCAA Woman of the Year award. The Woman of the Year award honors graduating female student-athletes who have distinguished themselves throughout their collegiate careers in academics, athletics, service and leadership. Of the nominees, 205 competed in Division I, 75 competed in Division II, and 166 competed in Division III athletics. The NCAA encourages each member school to honor its top graduating female student-athletes each year by submitting their names for consideration for the Woman of the Year award. Each conference then selects up to two women from the nominees to represent the conference. The Woman of the Year selection committee selects the top 30 honorees – 10 from each division – from the conference nominees. From among those 30 candidates, the selection committee determines the top three in each division and announces the top nine finalists in September. The NCAA Committee on Women’s Athletics will then vote from among the finalists to determine the 2014 NCAA Woman of the Year. The top 30 honorees will be honored, and the 2014 NCAA Woman of the Year winner will be announced, at the annual ceremony in Indianapolis on Sunday, Oct. 19. To view the list of school nominees, click here. 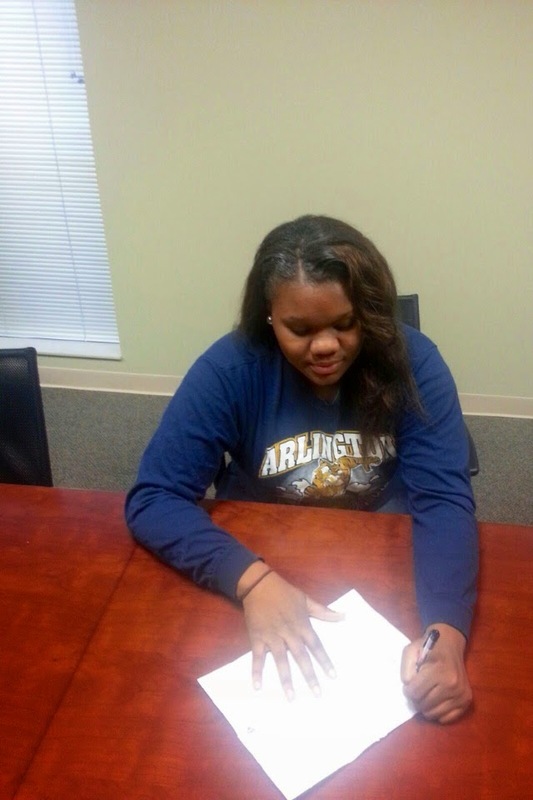 A 6-2 forward/center from Olive Branch, Mississippi, Kyra Gulledge will transfer to the Murray State women's basketball team from East Mississippi Community College for the 2014-15 season, head coach Rob Cross announced on Thursday. 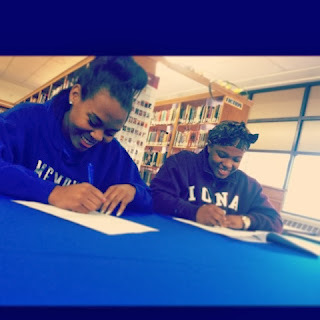 "Kyra will be a great addition to our team, as she is a hard-working player who will give us greater depth in the post position," said Cross. "She had an outstanding prep career at H.W. Byers and continued that trend at EMCC last season. 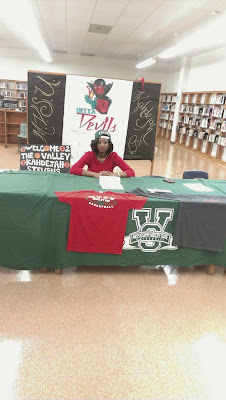 In addition to being a force on the court, she is a great student in the classroom and we look forward to having someone of her high-character on campus next fall. As a prep standout at H.W. 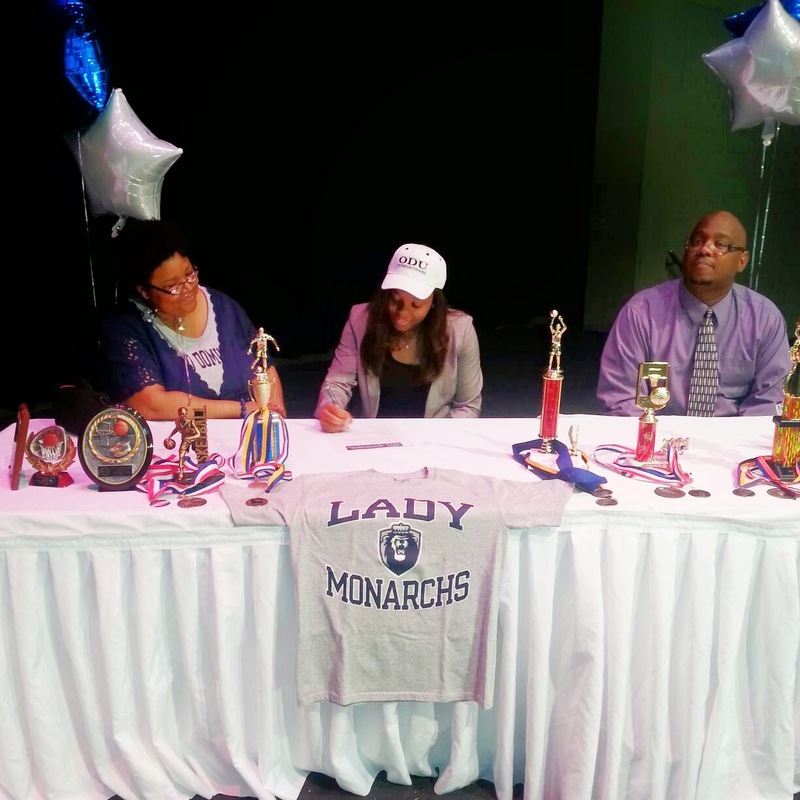 Byers, Gulledge helped lead the Lady Lions to a Mississippi Class 2A state title in her freshman season and back-to-back 1A titles in her junior and senior years. During her senior year, Gulledge pulled down 21 double-doubles and averaged 14.1 points, 14.1 rebounds and 2.8 blocks per game. Following her senior year, she was one of just 12 players in the state of Mississippi to be named to the Clarion-Ledger's prestigious All-State team. 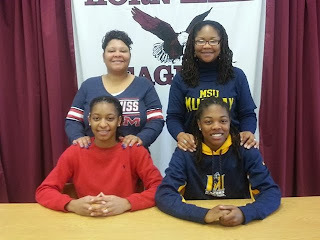 Gulledge joins fellow Mississippian Olivia Cunningham, a 5-7 guard from Horn Lake, and Alexis Cassell, a 6-2 post from Altanta, Georgia as members of Cross' recruiting class for next season. In addition to the three incoming student-athletes, sophomore LeAsia Wright and freshman Ke'Shunan James are also expected to play a major role for MSU next season. Wright, a 5-8 guard, sat out last season after transferring from Western Kentucky, while James, a 6-1 forward/guard, sat out due to NCAA rules. Jaden Newman spent three hours taking a tour of the University of Miami last week, where the women's basketball coaching staff urged her to keep the Hurricanes in mind when it came time to make her college choice. Jaden also happens to be 9 years old. The fourth-grader, who has already played two seasons on the girls high school varsity team at Downey Christian School, a 300-student private school in Orlando, is now being actively recruited by Miami. 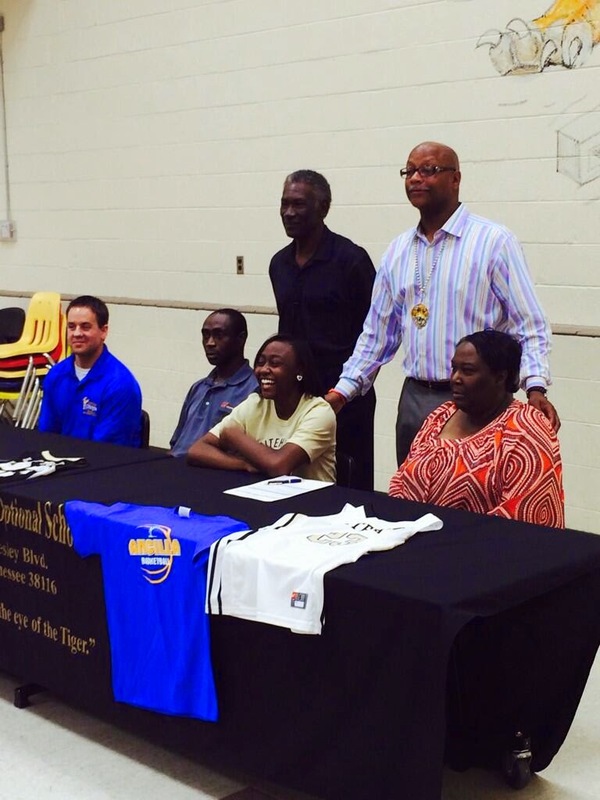 She is believed to be the youngest girls player ever to get recruited by a Division I program. 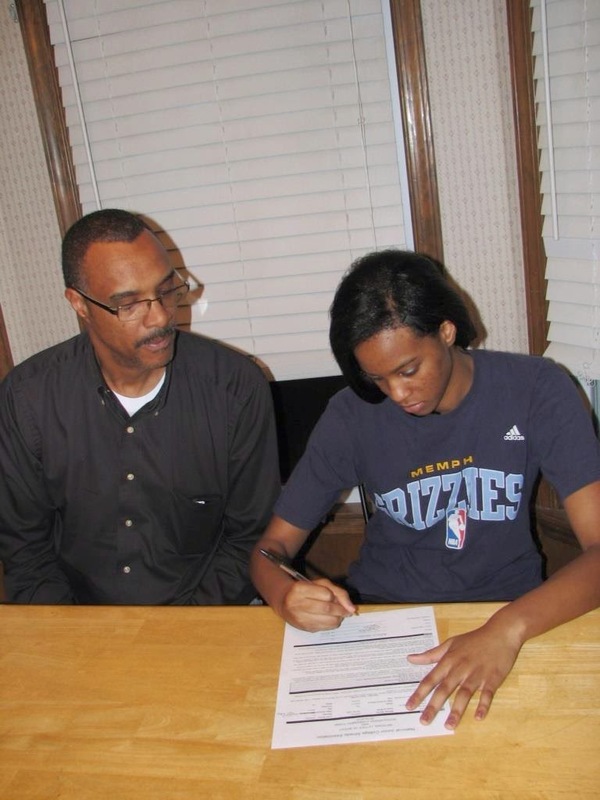 "It did surprise me a little bit,'' Jamie Newman, Jaden's father and the coach of her basketball team, told TODAY.com. "When I first got the call [from Miami assistant coach Derrick Gibbs], I thought it was for my son. I understand why, though, because she has an amazing skill set at 9 years old, and her potential is through the roof." Jaden, who averaged 14.5 points and 7.5 assists per game this past season while playing against teenagers, is a 4-foot-7 point guard who has gained national prominence for her performance. The family is no stranger to attention for basketball precocity, as her older brother, Julian, 12, played on the Downey Christian varsity boys team this winter as a sixth-grader. Adding the college attention could certainly heighten the pressure on a young girl who has been in the spotlight since she was 8 years old, but her father doesn't think that will be a problem. "She's so level-headed," Newman said. "She's on the right path with colleges already looking at her." Newman said he and his wife both grew up loving basketball, and passed that down to their children. He said his daughter's dream is to play for the University of Connecticut, a perennial powerhouse and the defending national champion. "Kids like to play Xbox and Playstation, or be on Instagram and Twitter, but she wants to play basketball, and that will always be with her,'' Newman said. "She's gifted with that passion and drive that she has." Miami is the only school that has contacted Jaden so far, according to her father. She received an official recruiting letter from the Hurricanes in April and then took an unofficial visit there last week. By NCAA rule, Miami's coaches are not allowed to comment specifically on any prospective recruits. While Jaden is at the extreme end, the recruitment of players before they even reach high school is not unheard-of. In 2010, the University of Southern California football team made a scholarship offer to seventh-grader David Sills, a quarterback from Delaware, and last summer USC received a verbal commitment from Nathan Tilford, a wide receiver from California who was getting set to begin his freshman year of high school. Recruits do not sign a binding National Letter of Intent until their senior year of high school. Certainly a lot can change in the nine years between now and when Jaden is a high school senior. "Coaches come and go all the time, so the whole staff could change two or three times in that time frame,'' Newman said. "Especially with the recruiting game, though, I can see why [Miami] did this. She does stuff some college girls can't do. When she gets older, bigger and stronger, I could see why a college would want to put that name out there to build a relationship." Former DeltaState head women's basketball coach David Midlick has been hired by women's basketball head coach Melissa McFerrin as the Tigers' new associate head coach it was announced, Monday. 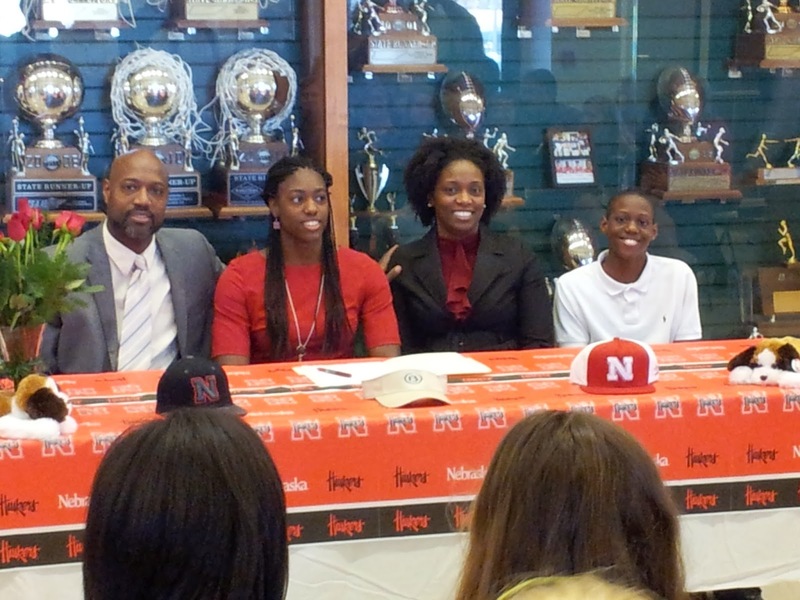 Midlick replaces Amy Stephens, who returned to her alma mater at Nebraska as an assistant coach. 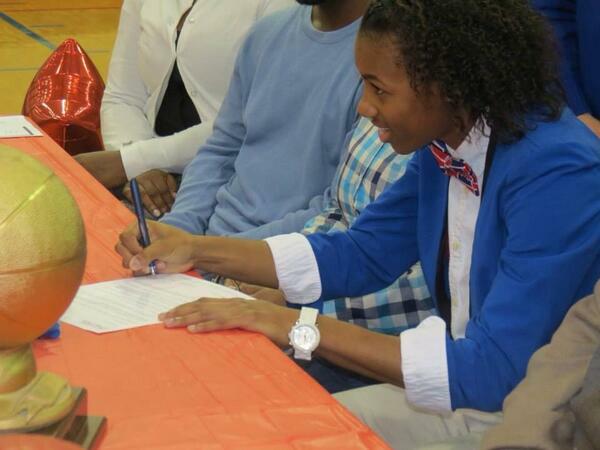 "As a native Memphian, David has a very fond awareness of the Tigers and the University of Memphis," McFerrin said. "He is known as a basketball coach with very strong player development skills and this past year, Delta State had the number one ranked defense in the nation. Those two things were important qualities for this hire." Midlick has spent the past two seasons leading the Delta State women's basketball team to back-to-back 20-win seasons, back-to-back NCAA berths and an NCAA Sweet 16 finish in 2012-13. Midlick's team led NCAA Division II in defense, holding opponents to 53.3 points per game and to just 33.5 percent shooting from the field. His defense also ranked seventh in the country in three-point field goal defense, giving up just 25.0 percent shooting from beyond the arc. 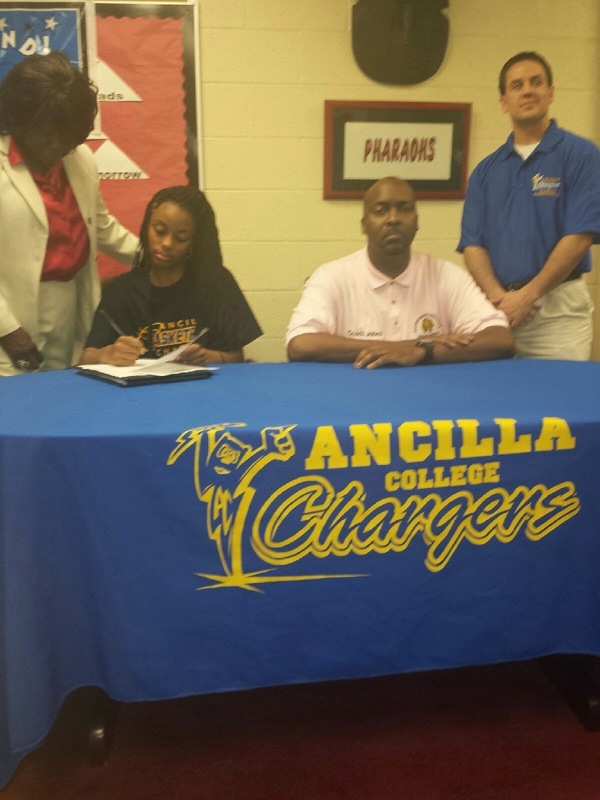 "I'm excited to be up there with coach McFerrin, the rest of the staff and the ladies. I really believe in (McFerrin's) vision for the program, the goals they have, and I can't wait to get started," Midlick said. "I felt great about this opportunity from the moment I started talking with coach McFerrin, both about players coming back and the players that were recruited. In talking with Erin (Grant), Jess (Bogia) and Ben (Kantor) and the rest of the staff, I'm just really looking forward to helping them." Sporting a 44-16 mark at Delta State, Midlick will be returning home to Memphis, where he graduated from Christian Brothers High School in 1987 before playing college basketball for Ole Miss. He helped CBHS to a state championship in 1987. Midlick played in 80 games for the Rebels, with 33 starts, at guard. In his three-year career, he averaged 5.8 ppg while leading the team in free-throw percentage and three-point field goal percentage. In 1989, he helped the Rebels to the National Invitational Tournament (NIT) and the following season, helped Ole Miss to a Southeastern Conference Tournament final. A three-time all-academic selection, Midlick was the 1991 SEC Male Scholar-Athlete and a finalist for SEC Scholar-Athlete of the Year. After graduating from Ole Miss in 1991 with a degree in biological science, Midlick received a bachelor's degree in physical therapy from the University of Mississippi Medical Center in 1994. After working as a physical therapist in Greenville, Miss., Midlick entered the world of coaching at Washington High School, where he served two stints as the boys basketball coach (1994-97, 1999-2003), also serving as the girls varsity coach from 1999-2002. At Washington, he took a boys' program that had won just six games in two years to a 90-77 mark over six seasons. He also guided the girls' varsity team to an 18-16 record, their first winning season since 1991. In 1996, he was named the Mississippi Independent Association of Schools North AAA Coach of the Year in 1996 and MAIS District I-AAA Coach of the Year in 1999. In between stints with Washington HS, Midlick also coached the varsity boys and girls teams at Indianola Academy in Indianola, Miss. In 2003, Midlick broke in to college coaching under former Memphis player and M Club Hall of Fame member Dave Loos, joining Loos' staff at Austin Peay State. He worked with the Governors from 2003-2006, working on scouting and video prep, while assisting in recruiting and player evaluations. The Governors won an OVC regular season title in 2003-04, qualifying for the NIT, then finished second in 2005. After coaching on the men's side at Austin Peay, Midlick moved to Tennessee State University in 2006, serving as an assistant coach for the women's team. At TSU, he helped engineer a turnaround for the program, helping TSU go from winless to Ohio Valley contenders. As the program's recruiting coordinator, and while coaching the posts, Midlick helped Obiageli Okafor to 2010 first team all-conference honors and helped Jasmine Smith to the OVC All-Newcomer team in 2009. He left Tennessee State to join Carrie Daniels' staff at Austin Peay State in 2010-11, spending two seasons there. At APSU, Midlick was in charge of the post players, while also assisting with recruiting, academic tracking, scheduling, compliance and game planning. 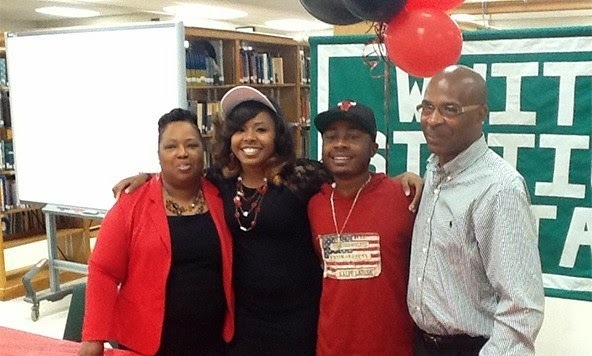 He also helped sign two nationally-ranked players to APSU's 2011 class. Midlick was tapped for the Delta State head coaching spot on July 9, 2012. In his first season, he led the Lady Statesmen to a 21-10 overall record and an NCAA Sweet 16 finish. He guided Delta State to a Gulf South Conference (GSC) regular season title, finishing with 21 wins, the most-ever for a first-year coach at Delta State. Two Lady Statesmen earned all-conference honors under Midlick, as Rhandi Ball was named first team and Seneca Walton earned second team honors. Guard Chelsey Rhodes was named the GSC Freshman of the Year and set a freshman record for three-point field goals made with 45. Last year, Midlick guided DSU to a 24-6 overall record and a second GSC regular season title. Rhodes and Walton both received WBCA Division II Coaches' All-America Team honors and Walton was named both the Gulf South Conference and All-Region Player of the Year. Midlick is married to the former Leslie Biddle of Greenville, Miss., who is also a physical therapist. They have two sons, David Jr. and Will. Get a Kindle copy of Girls Basketball Beginner's Guide right now for FREE until Wednesday, June 11. Congratulations to Jasmine Cincore (Basketball), Ashley Jackson (Athlete of the Year) and Maia McCoy (Track)!!!! Christian Brothers University women's basketball coach Sarah Condra announces the signing of White Station High School point guard Courtney Banks to a National Letter of Intent to join the Lady Bucs next season. 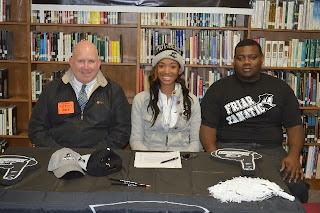 Banks was a three-time All-District performer at White Station. She was named All-Region and Commercial Appeal Best of Preps All-Metro as a senior as well, leading White Station to the district championship and the regional semifinal. 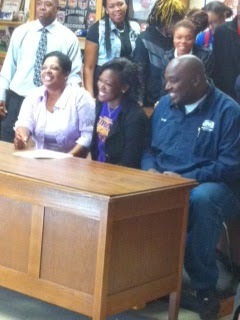 Banks is the Lady Bucs' second signee of the spring, joining Jackson Christian School guard Rachel Lee. 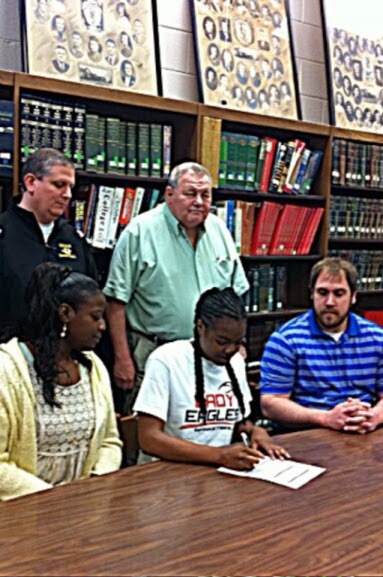 Please email popo@girlsbasketballtrainer.com signing updates and pictures.